From December 1 through Christmas, kids can have cheery chats with the elves and Santa who live and work in Northpole Est. 1820. Have a new conversation each day for 25 days! 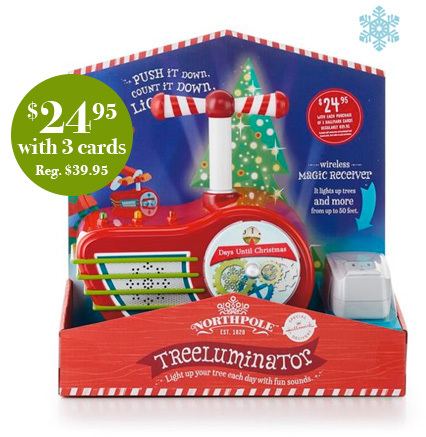 Fun way for your family to connect with Santa and Northpole. 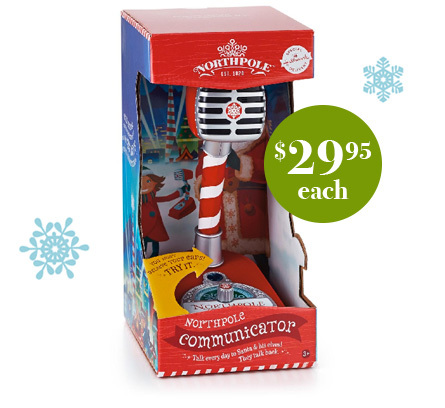 Set clock to Northpole time, dial in, and chat daily with Santa and his elves. Bring the excitement of a lighting ceremony to your home and count down the days to Christmas in a memorable way. Each night, kids can press down the lever to start the show. Just plug your tree lights (or any string of lights in your home) into the receiver and enjoy the magical fanfare of lights and sound when you turn it on. It’s so much fun you may want several to spread the cheer. Includes Magic Receiver to turn on the Treeluminator™. Plug tree and any light device (light strings, garlands, wreathes, etc.) into the Magic Receiver for light and sound show. Lights up trees and more from up to 50 feet. Programmed with 5 different light-and-sound shows. 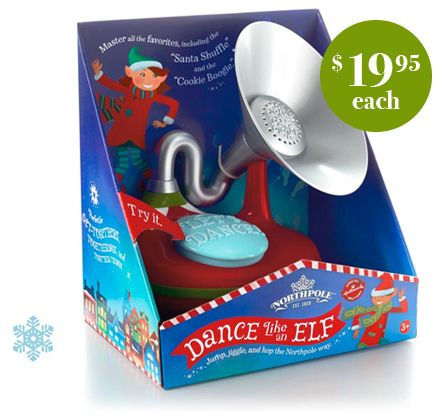 Crank the tunes and get the whole family dancing with this elf dance machine. You'll love busting a move in Northpole traditional elf styles, like "Stir the Hot Chocolate," "Build a Snowman" and "Ski Down the Mountain." Fun activity for entire family. Turn on to follow the elf caller’s directions. Each time you press the button, dance for 90 seconds. 12 music loops and over 30 dance moves mean that every dance is different. This gift bag offers is only available at participating stores. 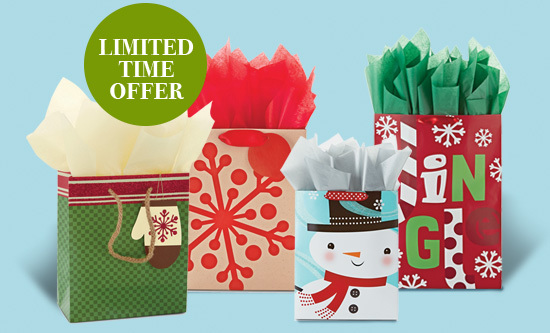 * Hallmark Rewards members are entitled to purchase up to 5 Hallmark gift bags for $2 each (plus applicable sales taxes) when they buy 3 or more greeting cards in the same transaction at participating Hallmark Gold Crown store. This offer can be combined with the ‘3 cards for $10’ offer. Returns will not be accepted under this offer; however any unused gift bag in good saleable condition may be exchanged for any other qualifying everyday gift bag upon presentation of the original receipt.